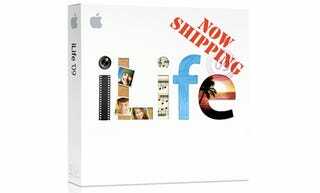 According to some readers, the $79 iLife '09 is now shipping. For metadata fanatic loons like me, it's worthy just for iPhoto alone and its new face tagging and localization features. UPDATE: Apple confirms. Update: Apple has issued a press release stating that iLife '09 will be available tomorrow January 27, which goes along what readers reported. CUPERTINO, Calif., Jan. 26 /PRNewswire-FirstCall/ — Apple(R) today announced that iLife(R) '09 will be available tomorrow, January 27, and features major upgrades to iPhoto(R), iMovie(R) and GarageBand(R), with breakthrough new ways to organize and manage photos, create movies and learn to play music. iLife '09 is included with every new Mac(R) and is available as a $79 upgrade for existing users through the Apple Store(R) (http://www.apple.com), Apple's retail stores and Apple Authorized Resellers. iPhoto '09 builds on the ability to automatically organize photos into Events by adding Faces and Places as innovative new ways to easily organize and manage your photos using face detection, face recognition and GPS geo-tagging technologies. iMovie '09 expands on the revolutionary super fast movie creation introduced in iMovie '08 by adding the depth users want through powerful easy-to-use new features such as the incredible new Precision Editor, video stabilization, advanced drag and drop, and animated travel maps. GarageBand '09 introduces a whole new way to help you learn to play piano and guitar with 18 basic lessons and optional lessons from top artists such as Sara Bareilles, John Fogerty, Norah Jones and Sting. iLife '09 also includes iWeb(TM) '09 for authoring custom websites and iDVD(R) '09 for creating DVDs. iWeb '09 adds new iWeb Widgets, such as iSight(R) video and photos, a countdown timer, YouTube video and RSS feeds. New integrated FTP publishing allows you to publish your website to virtually any hosting service and updates to your site can now be automatically added to your Facebook profile. You can see step-by-step demonstrations of iLife '09 features by browsing more than 70 video tutorials at http://www.apple.com/ilife/tutorials. iLife '09 will be available January 27 for a suggested retail price of $79 (US) through the Apple Store (http://www.apple.com), Apple's retail stores and Apple Authorized Resellers. The iLife Up-To-Date upgrade package is available to all customers who purchased a qualifying new Mac system from Apple or an Apple Authorized Reseller on or after January 6, 2009 for a shipping and handling fee of $9.95 (US). The iLife '09 Family Pack includes five licenses and will be available for $99 (US) and the Mac Box Set which includes iLife '09, iWork '09 and Mac OS(R) X v10.5.6 Leopard(R) will be available for $169 (US). Artist Lessons are sold separately through the GarageBand Lesson Store for $4.99 (US) each. iLife '09 requires Mac OS X version 10.5.6 or later, a Macintosh(R) computer with an Intel processor, a PowerPC G5 or 867 MHz or faster PowerPC G4, 512MB of RAM (1GB recommended), QuickTime(R) 7.5.5 or later (included), a DVD drive for installation and 4GB of available disk space. iPhoto print services and GarageBand Artist Lessons are available in select countries. Full system requirements and more information on iLife '09 can be found at http://www.apple.com/ilife. (C) 2009 Apple Inc. All rights reserved. Apple, the Apple logo, Mac, Mac OS, Macintosh, iLife, iPhoto, iMovie, GarageBand, Apple Store, iWeb, iDVD, iSight, Leopard and QuickTime are trademarks of Apple. Other company and product names may be trademarks of their respective owners.